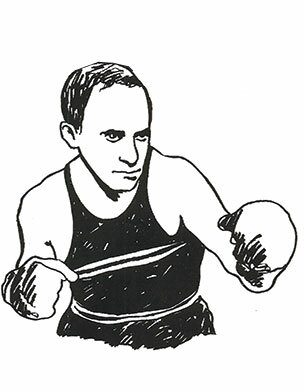 During his four years at the University of Maryland, Alperstein went undefeated in all his bouts, captained the boxing team (for three years), was a finalist in the 1941 Southern Conference, and led his team to the 1942 Eastern Intercollegiate Championship. While serving in World War II, Alperstein won both the 1942 and Middle East Welterweight Championships. From 1965-1970, Alperstein was DC AA Boxing Commissioner, transforming a problem-ridden program into one serving 3,500 youths. For his many athletic and civic achievements, Alperstein has been recognized with various state and federal honors.